Carson Engineering and Manufacturing, Inc. specializes in the design and build of equipment and tooling for the forming of thin-walled tubing. Located in Northwest Arkansas, we have been serving the residential, commercial and automotive HVAC industries since 1978. At Carson Engineering, we sell our products directly to our customers based on their requirements and specifications. By working directly with our customers we are able to accurately apply our products to the task hand. This is a great advantage in that it provides a savings of time and money, both of which are passed on to our customers. We provide a wide range of products in the form of new equipment, custom and standard tooling for our equipment, machinery repair parts, and engineering consulting. 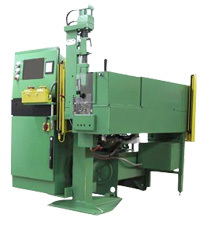 Our line of tube forming equipment includes machinery for end forming, hole punching, end closing, and bending. We also offer many custom machines that are dedicated to tasks such as return bend ring assembly, crossover sizing, hairpin bending, and automated tube processing. We offer a complete tooling service for Carson built machinery. Our service consists of process consulting, design, and build. We can build form tooling based on industry standard, or we can build custom sets based on a customer’s own design. We also offer an emergency service for situations where a tooling set is needed quickly to replace a broken set or when a product prototype is needed in a hurry. At Carson Engineering, we are able to provide sound engineering consultation based on many years of experience in the tube forming industry. Not only do we have the expertise to soundly design, build, and apply machinery, but we also have the experience to know how to change a part or operation to maximize accuracy and efficiency.